Cohen recalled the Podesta Group’s — a lobbying firm run Tony Podesta, the brother of Clinton and Obama administration alumnus John Podesta — lobbying activities for Uranium One, an arm of the Russian state. Cohen examined BuzzFeed’s recent allegations regarding Trump’s former lawyer Michael Cohen. Cohen recommended pursuit of an “anti-terrorism alliance” between America and Russia. Cohen added, “So for this, [Donald Trump] is now being savaged as quote, ‘giving a gift to Putin.’ This is madness. Either we have a mutual enemy in international terrorism. When we say international terrorism, we don’t just mean the jihadists in Syria. We’re talking about the guys who’ve blown up sports stadiums and subway stations across Europe; Paris, Moscow, various cities, and it’s going to happen here. I don’t wish it to, but it’s will happen here. Cohen stated, “The Russians are excellent at this. For one thing, their nation is located on the border of those nations where terrorism is flourishing, where it gets its funding and does its recruiting. 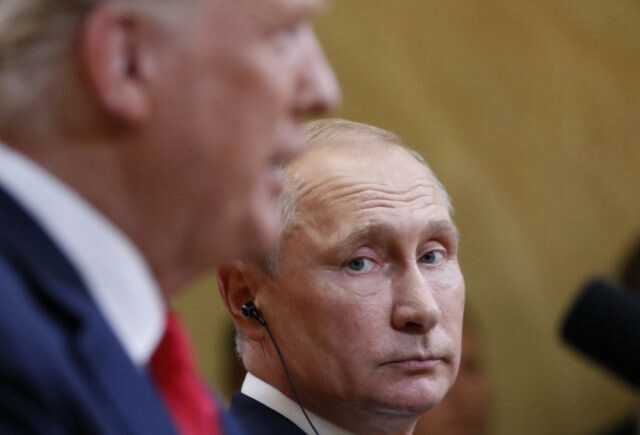 An alliance with Russia, as Trump suggested, against terrorism was manifestly, by any rational standards, in America’s national interest, and yet he’s been prevented from doing that. Cohen described the “liberal-progressive establishment” advancement of the “Russiagate” narrative as national security threat via its potential to hamstring Trump’s capacity to deal with Russia. Mansour asked Cohen about Russia’s annexation of the Crimean Peninsula. Cohen credited former President Barack Obama’s foreign policy in Eastern Europe with provoking Russian President Vladimir Putin’s decision to annex Crimea. Cohen offered a solution to the American-Russian row over Crimea. Cohen again described partisan Democrat advancement of the “Russiagate” narrative as obstructing Trump’s capacity to act in the national interest vis-a-vis Russia. Cohen concluded with a cautionary thought experiment.